Have you heard?!? 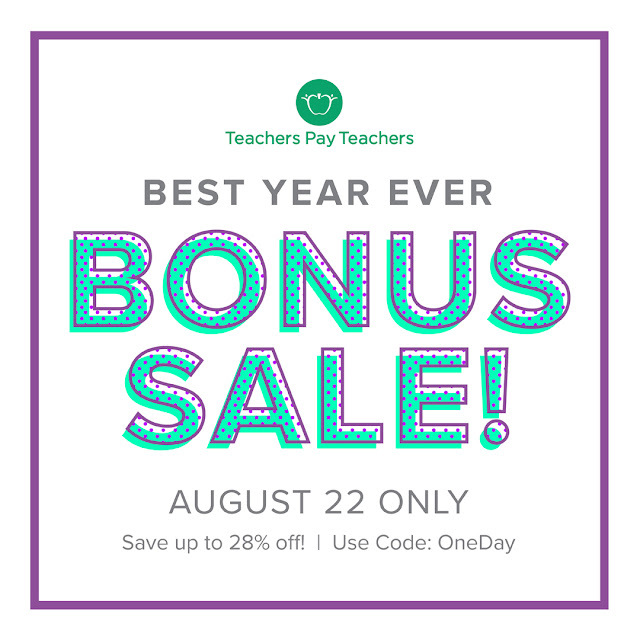 TeachersPayTeachers is having a HUGE ONE-DAY SALE??? Check it out at beginning at MIDNIGHT 8/22! In need of some vibrant clip art? Check out From Sketch to School and begin decorating your classroom or improving the look of your TpT resources! Happy Back to School shopping!